In the fast changing world of tax, it can be difficult to stay up to date. 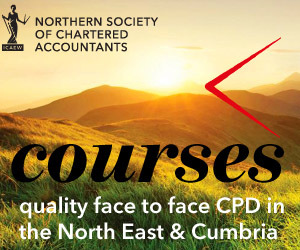 Our annual Practical Tax conference arranged jointly by ICAEW Members in Scotland and Northern Society in conjuction with the ICAEW Tax Faculty has been designed to address this, with expert speakers who’ll not only bring you up to speed on the issues that matter, but will share their unique professional insights. This year’s event is at a stunning new venue, the Dunblane Hydro in Perthshire – a Doubletree by Hilton hotel. We may have changed locations, but the weekend still features many of our most popular sessions and speakers including Rebecca Benneyworth, Peter Rayney, David Heaton, Paul Aplin and Carl Bayley. The weekend is a great chance not only to hear from our experts but also to connect with them and other tax professionals. It’s also an excellent way to achieve your CPD goals as you hear from some of the best people in the profession. As always, this year’s programme is packed with talks designed with small and medium-sized practices in mind. And to make sure that it meets your needs, many of the topics have been developed based on delegate feedback. The weekend’s not all lectures – there are also plenty of chances to connect with your peers (and our experts) during the informal evening events, or even over coffee between sessions. The outline programme is attached. This year the Conference will take place in the historic cathedral town of Dunblane, in Central Scotland. The event itself takes place at the Dunblane Hydro, a former Victorian health spa, turned luxury hotel. The Hydro recently underwent a £12m refurbishment, so you can expect something special from your stay. The hotel is making single, double and twin en-suite rooms available to delegates. Partners and families are welcome to join you and to make the most of the hotel’s superb facilities. Alternatively, there’s a fantastic range of attractions close at hand, including the world-famous Gleneagles Golf Course. As you would expect in this part of Scotland there are also a number of distilleries to discover and some stunning scenery to explore. If you wish to extend your stay, you and your guests can enjoy a special discounted rate on the Thursday and/or Saturday evening. These special rates are guaranteed until 10 September, so do book early to make sure you benefit. Accommodation booked after that date will be subject to availability and best available rates at that time. Hilton Honour points can be claimed during your stay. Book your accommodation direct (for an upgrade contact T: 44 (0)1786 826 636). Please note that accommodation must be booked separately. The cost of your room(s) will be charged in addition to your conference fees and must be paid directly to the hotel on departure. We have arranged a special dinner, bed and breakfast rate (DB&B) which is bookable directly through the hotel website via the online link above. You will need to specify the type of room required.